June 5, 2017, 8:42 PM · In an effort to promote the coverage of live violin performance, Violinist.com each week presents links to reviews of notable concerts and recitals around the world. 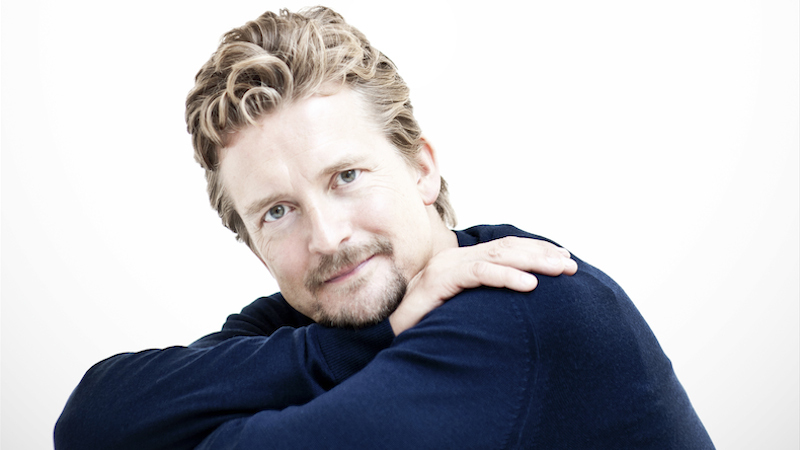 Christian Tetzlaff performed Szymanowski's Violin Concerto No. 1 with the Chicago Symphony Orchestra. Chicago Tribune: "Is there a more physically engaged fiddle virtuoso before the public? On Thursday you could almost smell the rosin dust coming off his bow as he pressed deep into his violin strings, bringing out Szymanowski's aching lyricism, his bright, intense sound soaring high above the staff." The Chicago Maroon: "German soloist Christian Tetzlaff stepped into the spotlight for what was easily an evening highlight, giving a virile interpretation of the relatively unfamiliar Szymanowski." Chicago Classical Review: "The German violinist gave a wholly compelling take on this unwieldy piece, investing the virtuosic bursts with his singular brand of bristly bravura and leaning into the surging lines with a slender, focused tone that skirted the schmaltz." Christian Tetzlaff. Photo by Giorgia Bertazzi. Vadim Gluzman performed Prokofiev's Violin Concerto No. 2 with the Baltimore Symphony Orchestra. Washington Classical Review: "The violinist’s sweet tone featured exquisitely in the romantic second theme of the first movement, ...and the balletic second movement was a highlight...Gluzman’s technical facility made for some bold and thrilling moments in the finale." The Baltimore Sun: "His lush tone and vividly etched phrasing brought out the work’s atmospheric contrasts....Gluzman provided eloquent Bach for an encore." Tasmin Little performed the Walton with the City of Birmingham Symphony Orchestra. The Arts Desk: "With her lustrous tone and hint of grit it’s hard to think of a living violinist who’s better suited to this concerto, and Little went at it with mile-wide vibrato, succulent double stops and high notes that rocketed straight up to the ceiling of Symphony Hall." Yaegy Park performed Mozart's Violin Concerto No. 4 and Sarasate's "Zigeunerweisen" with the Baltimore Chamber Orchestra. The Baltimore Sun: "She revealed a mellow, well-supported tone and a knack for nuanced phrasing in the Mozart score, sculpting the cadenzas with particular spark...."Park approached (the Sarasate's) technical demands with calm focus and, for the most part, pristine results, while also impressively underlining the lyricism." Benjamin Beilman performed the Tchaikovsky with the Alabama Symphony Orchestra. artsBHAM: "Beilman’s palette of colors and timbres was inexhaustible, ranging from brassiness to a silken tone that had the purity of a human voice. His technique kept these traits apparent even while executing countless stratospherically-high harmonics or huge leaps down the fingerboard. Every note had been thought of, given attention, and absorbed into a musical idea." June 6, 2017 at 01:34 PM · I usually open the Violinist.com first thing in the morning on Mondays to read this. I was worried that since you were busy with the symposium, there wouldn't be any reviews this week. Thanks for posting this! Loving all the reviews.